I am a fan of YA author Francisco X. Stork, and I enjoyed his novels Marcelo in the Real World, Irises, and The Memory of Light. He has a talent for telling stories that feature realistic young characters with deep emotional depth and address important issues. I recently listened to his latest novel, Disappeared, on audio, and it was no exception, a suspenseful tale about two siblings in Mexico each faced with ethical decisions with life-or-death consequences. Sara Zapata lives with her mother and younger brother in a tiny house in Juarez, Mexico. She works as a journalist at a local newspaper to help support her family. Four months ago, Sara's best friend, Linda, disappeared, and since then, Sara has written articles about the many young women who disappear from Juarez each year so that people will remember them and the police will not give up looking for them. One morning at work, though, Sara receives a serious death threat that also names her family, and she must decide whether to continue her quest or give it up to protect herself and her family. That same day, she also receives a mysterious phone message that she is certain is from Linda, with a photo that might contain clues to her and the other women's whereabouts. Sara must find Linda and the other missing women, but the more she learns, the more danger she is in. Meanwhile, Sara's brother, Emiliano, is facing a moral dilemma of his own. He mostly lives a normal teen life, going to school, playing soccer, and nursing a crush on Perla Rubi. Emiliano also contributes to his family's income by working with local youth to collect and resell artisan crafts. He works hard, using his bicycle to pick up and deliver the craft products. He's also involved in a local organization that helps at-risk youth, which he himself was at one time, after getting caught shoplifting. Emiliano is in love with Perla Rubi, but he knows that her family will never accept him because he is poor. He is desperate to show them that he is good enough for her, so when he is offered a role in the local crime ring that he knows is wrong but would bring his family out of poverty, he is tempted. Sara and Emiliano are each immersed in their own quandaries, though gradually, there is some overlap that eventually comes to light. This novel has the trademark thoughtfulness and poignancy of Stork's other novels, but I was surprised that it is also a fast-paced thriller at times, particularly Sara's story. Her investigation of the abduction of the women carries plenty of suspense, especially as the stakes get higher. The eventual resolution of the siblings' problems was also a surprising twist for me. The audio production was very well-done. The text includes many Spanish words, so I appreciated hearing them pronounced correctly by the dual Mexican narrators - Roxana Ortega and Christian Barillas - voicing the alternating viewpoints of Sara and Emiliano. The book kept my attention, and I was immersed in Sara's and Emiliano's stories, hoping for each of them to do the right thing and also stay safe. As usual, Stork tells a specific story while also bringing to light important issues in our global world today. Listen to a sample of the audiobook here. Or order Disappeared from Book Depository, with free shipping worldwide. Busy end of summer around here! My 16-year old niece was visiting for a few days last week, so my sons were both home - lots of fun but tiring, too. It was nice to have her here and spend some time together - rare now that she is older. I was also busy with my father-in-law - he half-tore off a toenail last weekend, so I ran around a bit this week taking him to the podiatrist and then taking turns with my sons visiting him each day to change the band-aid and check on him. On the plus side, he was watching an old episode of Columbo when I came to visit one day - what fun! Leonard Nimoy was guest-starring as a surgeon. He and I enjoyed that. I finished reading An Absolutely Remarkable Thing by Hank Green, brother of the famous YA novelist John Green and one-half of the popular Vlogbrothers video series. Hank has a huge following of his own, thanks to the vlogs and his own two educational and science video series. This new novel, due out September 25, is about a group of young adults who unwittingly find themselves at the center of the biggest thing that's ever happened in the world. Green explores our celebrity culture, the role of social media, and through the mirror of a bizarre, otherworldly series of events, even reflects on our current divided state politically. But while doing all that, it's also a whole lot of fun and very funny. I really enjoyed it and wrote my review for Shelf Awareness last week, so I will share that when it is published in September. Next, I read another review book for Shelf Awareness, Anne Frank's Diary: The Graphic Adaptation by Ari Folman and David Polonsky (illustrator) and Anne, of course. This graphic novel-style adaptation is just as moving and powerful as the original, and the realistic drawings include startling war-time illustrations, depictions of life in hiding, as well as fantastical imaginings from Anne. I just re-read the original last year, and I thoroughly enjoyed this new approach. And now it is time for my 5th and final Big Book of the year, just in time for the end of summer! I am reading City of Savages by Lee Kelly, a YA post-apocalyptic (and somewhat dystopian) novel that's been on my shelf for far too long! I'm enjoying it so far. It's the story of two teen girls and their mother, trapped in a Manhattan that has been destroyed while war still rages around the city, and the ragtag society that has been established among the survivors. Definitely dark, but intriguing so far. I am still listening to Disappeared by Francisco X. Stork. I am a huge fan of Stork and am enjoying it so far. It's set in Juarez, Mexico, about a young woman whose best friend disappeared one day, along with many other young women over the years from their city. As a reporter, she is looking into the disappearances, but powerful people want to stop her. The narrative goes back and forth between her and her younger brother. So far, it's intense and suspenseful, with in-depth characters. Our son, Jamie, 23, has been reading book 11 of the Wheel of Time series by Robert Jordan, Knife of Dreams. He loves this series and has been plowing through the huge books this year!About 50 pages left of this one. TV Tuesday: Breaking Bad - we finally tried it and are hooked! 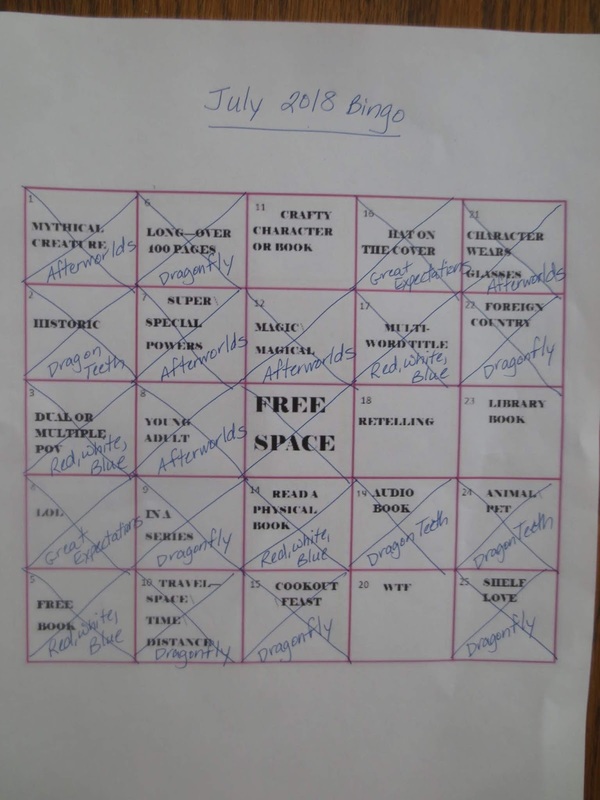 Just one more week left for the Big Book Summer Challenge! If you are participating, be sure to leave links to your Big Book reviews or challenge updates/wrap-ups on the Challenge page or leave your updates in the Goodreads group. Seems like it's been an excellent Big Book Summer for a lot of people! Earlier this month, I listened to another wonderful audiobook that I downloaded free from SYNC last summer: Plus One, a YA dystopian novel by Elizabeth Fama that combines suspense, action, family drama, and romance. Seventeen-year old Soleil (Sol, for short) lives in a world where people are divided into day-dwellers, called Rays, and night-dwellers, called Smudges. Though her family are Smudges, and Sol goes to school and works at a factory at night, her older brother was transferred to daytime (a rarity) as the result of a court order a few years back. Since then, they have been living separate lives, able to see each other only during the occasional Unity Days. But, now, her brother and his wife have had a baby girl, and Sol's beloved grandfather, who raised them, is dying. Sol hatches a risky plan in the desperate hope that her grandfather can hold his new granddaughter before he dies. She injures herself at work in order to get to the hospital during daylight hours, with the intention of kidnapping the baby and bringing her home to her grandfather. To accomplish that, she must break a lot of laws and take a lot of risks. A Ray doctor's apprentice named D'arcy gets pulled into helping Sol, and the two of them end up on the run together. I liked that this novel was set in an alternate reality of our own real world, where people were split into day and night following the flu pandemic of 1918 that decimated the world's population, so it's a dystopia but not set in a fantasy world. Sol and D'Arcy - and the supporting characters - feel real and relatable, and I was quickly pulled into the story. 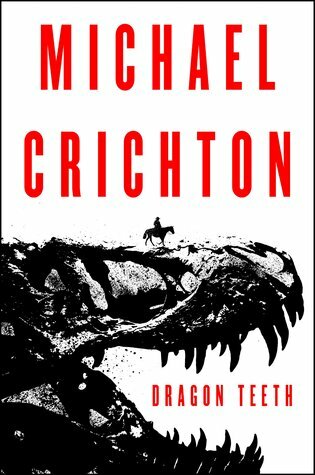 There are lots of unexpected twists and turns here, and the story went to places I never expected, but it was all compelling and engaging. Plenty of action and adventure keeps the novel moving along at a fast pace, but it is countered with emotional depth and both romantic and familial love. I thoroughly enjoyed listening to the audiobook, which also features an original song composed and performed by the author's adult son. Or order Plus One from Book Depository, with free shipping worldwide. I have been waiting until I could tell you about a wonderful novel I reviewed this summer, and now it's finally been released! Where the Crawdads Sing by Delia Owens is a moving, suspenseful, immersive novel set in the North Carolina coastal marshes that I absolutely loved. Its heroine, Kya, is a kind, strong girl forced to grow up on her own when all of her family abandons her. The novel also jumps ahead in time to when Kya is a woman and accused of murdering a local man, so the story combines mystery with family drama, nature, romance, and a lovely coming-of-age story. Besides reviewing the debut novel for Shelf Awareness, I also had the opportunity to interview the author, who is known for her nonfiction books about wildlife in Africa. I thoroughly enjoyed talking with Delia and hearing about her background and why she wrote this lyrical, poignant novel. You can read both my interview with Delia Owens and review of Where the Crawdads Sing (scroll down a bit for the review) at this link. "I want to stay with this theme of a sort of socio-biological thriller. I bring the socio-biology into it, but I want a fast-paced story that brings people in on the first page and doesn't let go. The next book I'm writing is based in North Florida, which is also a beautiful, wild habitat that most people don't know about--it's not the sandy beaches and palm trees. The novel features another strong female character, but she's not isolated. She has a group, and the story is going to focus on the dynamics of a female group. All the female groups evolved for survival reasons, not for camaraderie. You look inside those groups, and there's as much conflict as there is camaraderie. So, the dynamics of a female group can be very interesting." I can't wait to read that one, too! It is quite possible that my husband and I are the last people on Earth to jump on the Breaking Bad bandwagon, but we finally gave it a try, after this popular show finished five seasons and won 147 awards! And, of course we were immediately hooked. We are now coming to the end of season three, and we are loving it. So, in case you - like us - have been living under a rock, here's a quick recap. Bryan Cranston plays Walter White, a quiet, geeky family man who teaches high school chemistry. Walt's wife, Skyler (played by Anna Gunn), is expecting a new baby, and their teen son, Walt Jr., played by RJ Mitte, has cerebral palsy but is managing high school quite well. Then, Walter's world explodes when he finds out he has terminal lung cancer. Panicking and worried about what will happen to his family when he's gone (not to mention mounting medical bills), Walter remembers seeing loads of cash on the news when his brother-in-law, Hank, a DEA agent (played by Dean Norris), raided a meth house, and he also witnessed one guy escape from a raid when he did a ride-along with Hank. That guy happens to be an old student of Walter's, Jesse Pinkman, played by Aaron Paul. So, desperate to provide for his family before he dies, Walter partners up with Jesse, they get a rickety old RV, and Walter uses his expertise to set up an awesome meth lab. The two hapless criminals are surprisingly good at cooking meth, though they run into a LOT of challenges along the way. I know this show sounds really dark - guy dying of cancer decides to cook meth - which is probably why it took us so long to try it, in spite of all the accolades, but it is really, really good - and has some surprisingly funny moments! It is definitely dark. Things rarely go well for Walter and Jesse, and there are some serious run-ins with major criminals in store for the pair, as well as other scary, unforeseen challenges. Both of them spin out of control at various times, as they get pulled deeper and deeper into the criminal world, all while Walt tries to hold his family together and keep his secrets. Most episodes, though, also make you laugh out loud, like the sight of straight-laced Walter cooking meth in nothing but his tighty-whiteys and an apron! This show is incredibly compelling - absolutely addictive. We kicked off watching it by binging the first season during Fourth of July weekend! 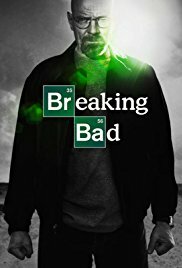 Though you often want to shake some sense into Walt and Jesse, the characters and the show overall are complex and the plot is gripping. We are almost at the end of season three, and it just gets better and better. If you also want to try Breaking Bad, all five seasons of the show are available on Netflix. But be warned, once you start, you won't be able to stop! Last week, our young adult sons were home for a Staycation, after our camping plans got rained out. We had lots of fun and enjoyed several good movies! 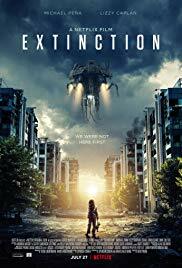 It's hard to choose a movie to appeal to all four of us, but the first one we chose was Extinction, a new Netflix original movie that we all enjoyed. The movie begins with a man named Peter, played by Michael Peña, experiencing nightmares. In the dreams, he sees some sort of invasion from the sky, violence in the streets, and menacing figures attacking people. We see Peter go to work and interact with his wife, Alice, played by Lizzy Caplan, and their daughters, Lucy and Hannah. They seem like a nice family, and Peter seems like a good dad, though he is tortured by these nightmares that feel real and are becoming more intense and frequent. He comes to believe that they are premonitions, so he goes through the motions at work and at home, until his dreams begin to come true one night. That's as far as I'm going with a plot description because the real excitement of this movie is its many unexpected twists and turns. There is some family drama, as Peter and his wife, Alice, argue about him working long hours and seeming distant, but there is a sense of dread imbued in the first part of the movie, thanks to Peter's increasingly disturbing nightmares. The rest of the movie is filled with action and suspense, like any disaster thriller, but also plenty of surprises. We all enjoyed it, and even my son and husband - who both always (annoyingly) correctly predict what's coming in suspense movies - were surprised by some of the twists in this one. Extinction is showing exclusively on Netflix. This is another 2-week update because I was on vacation last week - actually, at home but "on vacation." We had found the only 3 days all summer that we could get together with our adult sons for a short trip, planned and reserved three days of camping in the Pocono Mountains, where it would be cooler, after a family wedding in the region last weekend. So, we hustled to pack for both a wedding and a camping trip and managed to leave on time Saturday, towing our camper & kayaks. We checked into a hotel, unhitched the camper for the night, and went to the wedding - which was wonderful! Sunday morning, we checked the weather forecast - over and over! - and it showed nonstop heavy rain for the next three days solid. So, we cancelled our state park reservations and pulled the camper back home! We had to unpack all the stuff we hadn't even used, but by Sunday evening, we were ready to relax and enjoy a little staycation, just the four of us. We went bowling, played mini golf, ate our camping food (cooked in the oven) plus plenty of treats, watched movies, played games, and tied for 3rd place at a local Trivia Night! It all worked out well and was lots of fun. 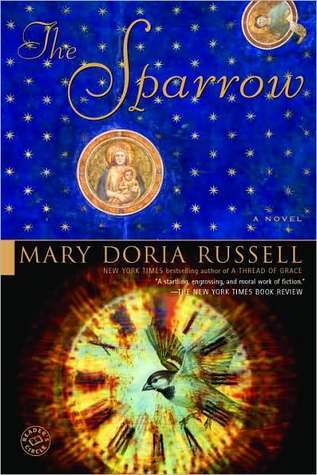 I finished The Sparrow by Mary Doria Russell and was blown away by it (my review at the link). I bought this novel at Northshire Bookstore in VT because one of the hosts, Ann, of my favorite book podcast (Books on the Nightstand - now retired but still available) said it was her favorite book. It's the story of a group of people, including some Jesuit priests, who travel to another galaxy in search of extraterrestrial life. Something horrible and tragic happens during that mission, and only one man returns (not a spoiler). The novel begins with the present (2060), after the mission, and flashes back to the first ideas of the mission, ironically in 2019 (the book was published in 1996), and gradually fills in what happened in between. It is compelling and completely unique - a very powerful and thought-provoking novel. It was hard to leave the characters and the world of The Sparrow behind, but I am now reading - and immersed in - An Absolutely Remarkable Thing by Hank Green, brother of the famous YA novelist John Green and one-half of the popular Vlogbrothers video series. Hank has a huge following of his own, thanks to the vlogs and his own two educational and science video series. 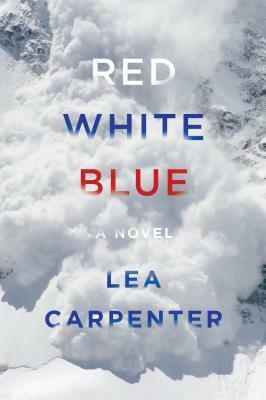 This new novel, due out September 25, is about a group of young adults who unwittingly find themselves at the center of the biggest thing that's ever happened in the world. It deals with our celebrity culture, the role of social media, and through the mirror of a bizarre, otherworldly series of events, even reflects on our current divided state politically. But while doing all that, it's also a whole lot of fun and very funny. I'm enjoying it so far and will be reviewing it for Shelf Awareness. 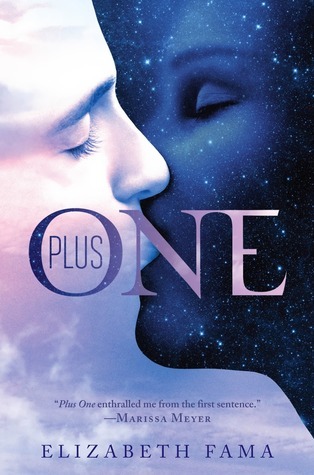 I finished listening to Plus One by Elizabeth Fama, a YA novel (a freebie from SYNC). It's set in an alternate reality, where the reduced population after the flu pandemic of 1918 led to the remaining people being divided into Rays, who live during the day, and Smudges, who live at night. Sol is a seventeen-year old Smudge. Her brother was transferred to day-living four years ago, and is now married with a newborn baby. Since Sol and her brother are now on opposite schedules, they are not allowed to see each other (except for an occasional Unity Day). Sol's beloved grandfather who raised them both is dying, though, and Sol is determined for him to hold his new granddaughter before he dies. To accomplish that, she must break a lot of laws and take a lot of risks. A Ray doctor's apprentice named D'arcy gets pulled into helping Sol. This engaging novel combines dystopia, action, suspense, and romance - I enjoyed it. 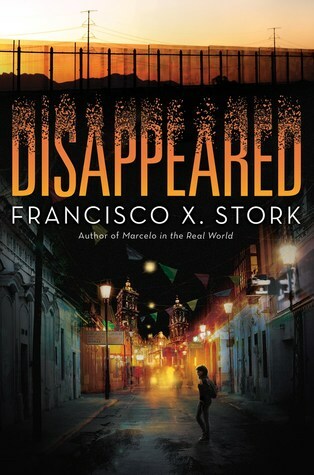 Now, I am listening to Disappeared by Francisco X. Stork. I've just started it (not a lot of listening time during family staycation! ), but I am a huge fan of Stork and am enjoying it so far. It's set in Juarez, Mexico, about a young woman whose best friend disappeared one day, along with many other young women over the years from their city. So far, it's intriguing and suspenseful, with in-depth characters. My husband, Ken, finished The Girl Who Takes an Eye for an Eye by David Lagercrantz, another in the series that began with The Girl with the Dragon Tattoo. Lagercrantz took over the series after its author, Stieg Larsson, died. My husband enjoyed it and feels Lagercrantz is doing a good job with the series. I've added it to my side of the TBR bookcase! Last night, not wanting to start something new right before a business trip (he'd already packed a light paperback), my husband started reading some of the short stories in Machine Learning by Hugh Howey, which I reviewed last year. We are both huge fans of Howey's trilogy that begins with Wool, so I know Ken will enjoy these clever and creative short stories (including a few from the Wool world) as much as I did! Our son, Jamie, 23, finished book 10, Crossroads of Twilight, of the Wheel of Time series by Robert Jordan, and immediately began book 11, Knife of Dreams. He loves this series and has been plowing through the huge books this year! 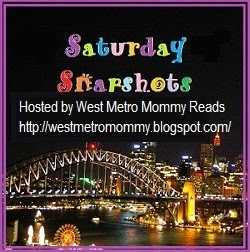 Saturday Snapshot: Our Staycation - a few highlights from last week! 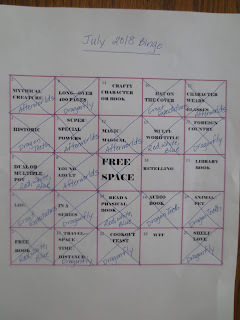 Just two more weeks left for the Big Book Summer Challenge! If you are participating, be sure to leave links to your Big Book reviews or challenge updates/wrap-ups on the Challenge page or leave your updates in the Goodreads group. Seems like it's been an excellent Big Book Summer for a lot of people! I am hoping to squeeze in one more, after I finish my review books. Me bowling for the first time in many years! I broke 50 in my second game! 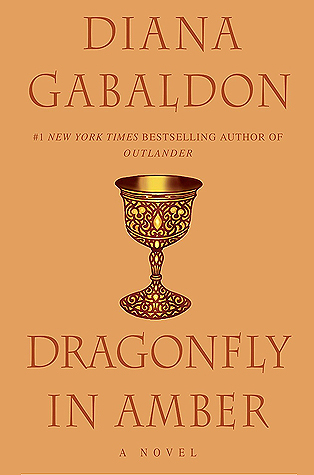 I am just back from a mini vacation with my family, and I couldn't wait to tell you about the novel I finished, my fourth Big Book this summer for my Big Book Summer Challenge (though it's not too big - just over 400 pages). I've been hearing about The Sparrow by Mary Doria Russell for years, and when one of my favorite podcasts, Books on the Nightstand (now retired but old episodes are still available), recommended it, with host Ann Kingman saying it was her favorite book of all time, I was sold. I bought a used copy at Northshire Bookstore in Manchester, VT, last summer. It held up to all the hype. The Sparrow is a poignant, powerful, thought-provoking story that I am still thinking about, days after finishing it. Emilio Sandoz is a kind and charismatic Jesuit priest currently assigned to his hometown of San Juan, Puerto Rico, after a long string of assignments to exotic, distant places that needed his unique talents in linguistics. Jimmy Quinn is also in Puerto Rico, working at Arecibo Observatory where, late one night, while reviewing sound input from various SETI (Search for Extraterrestrial Intelligence) stations around the world, he hears strange music that he identifies as coming from another planet. Before long, the Jesuits put together a mission to visit this never-before-identified planet in Alpha Centauri, in order to meet and learn from another intelligent species. The mission ends in disaster, with Emilio returning alone, as the sole survivor, accused of heinous crimes, and horribly disfigured and in constant pain. Most of the novel explores what happens in between. "After the first exquisite songs were intercepted by radio telescope, U.N. diplomats debated long and hard whether and why human resources should be expended in an attempt to reach the world that would become known as Rakhat. In the Rome offices of the Society of Jesus, the questions were not whether or why but how soon the mission could be attempted and whom to send. The Jesuit scientists went to Rakhat to learn, not to proselytize. They went so that they might come to know and love God's other children. They went for the reason Jesuits have always gone to the farthest frontiers of human exploration. They went for the greater glory of God. Hooked yet? This is one of those novels that begins at the end, so I haven't given away any spoilers here. You know from the first chapter that Emilio is the sole survivor of the mission and that he's been through some kind of horrific experience. The narrative moves back and forth between Puerto Rico in 2019, when Jimmy discovers the music, and Rome in 2060, where Emilio is recuperating and being questioned as to what happened. It's not until around page 140 that the mission actually gets underway and leaves Earth. Those early chapters introduce the main characters and help the reader get to know them intimately - and their relationships with each other - so that by the time the mission starts, you feel as if they are all old friends. It's kind of a slow-ish start, except that you know how things end, so there is a pervasive feeling of dread and plenty of suspense as to what will go wrong and how. The pace picks up considerably once the team is off-Earth, and the details of their journey and especially their experiences on Rakhat and their interactions with the beings they meet there are absolutely fascinating and immersive. One warning: as foreshadowed from the first chapter, some of the things that happen to Emilio toward the end of the novel (and the end of his time on Rakhat) are violent and very disturbing. However, if you can get past that, other scenes on Rakhat are beautiful, heartwarming, and full of joy. Though technically science fiction, this very compelling and original novel is ultimately about what it means to be human. I found the novel moving, powerful, and oh-so thoughtful. It got into my head (and my heart) so deeply that I had trouble starting a new book when I finished. I wasn't ready to leave the world of The Sparrow quite yet. OMG! I just discovered there is a sequel!! Children of God was published a few years after The Sparrow (in 1999) and continues the story of Emilio Sandoz, as he recovers from his ordeal and is brought in - reluctantly - to help train a new group for another mission to Rakhat. I can't wait to read it! Or order The Sparrow from Book Depository, with free shipping worldwide. My latest book column has been published on Shelf Awareness, and it is all about summer reading! No, not about reading Big Books (though that is my favorite part of summer), but in this column, I recommend four wonderful books - two novels, one graphic novel, and one nonfiction - that are all about summer, with luscious summer settings - perfect for this time of year! You can read the full article here. What books have you enjoyed that are about summer or have a summer theme? Last weekend, my husband and I were in the mood for a movie, so we watched How It Ends, a suspenseful, action-packed, thoughtful apocalypse film that kept us glued to the screen. This disaster/road trip movie starts fast and keeps moving. In the opening scene, Will, played by Theo James (who played Four in the Divergent movies), is in Chicago, talking to his girlfriend, Sam, played by Kat Graham, on the phone. She is in Seattle, and he is headed home today, but while they are talking, he hears strange sounds through the phone, Sam says something is wrong, and then the connection cuts out. Unable to reach Sam again and hearing disturbing reports on the news of a huge seismic event off the West Coast, Will heads to Sam's parents' house, even though Sam's father, Tom, doesn't like him. Tom, played by Forest Whitaker, is ex-military and has high standards for his daughter. But with Sam's life apparently in danger and all planes grounded, the two men set aside their differences and head west in a car, while Sam's mom goes to stay with their son. Thus begins an epic cross-country road trip, while a series of cascading disasters unfolds around them. Mega storms, fires, and more bombard the travelers, as they get closer and closer to the center of the apocalyptic disaster. Plus, they have to deal with other people they meet along the way, some of whom are kind and in need of help themselves, but others who are taking advantage of the situation. It's a harrowing survival situation, and as the two drive westward, they gradually and grudgingly begin to bond and respect one another. This apocalyptic disaster movie features nonstop action and plenty of suspense. Anytime you think the pair will be OK, some other unexpected challenge suddenly pops up. There is a fair amount of violence, but it is also a thoughtful movie, focusing in on the emotional relationship between Will and Tom as well as the physical challenges they face. The disaster itself is never fully explained, though all kinds of theories have popped up on the internet since it came out. It's a nail-biter thriller that certainly kept our attention, and the acting is excellent. We both enjoyed it. 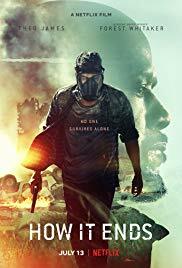 How It Ends is a Netflix original movie, so it is available exclusively on Netflix. Whew - I am both relieved and alarmed that it is now August! It's been a chaotic and stressful summer, with unbearable heat and very little relaxation, so I am ready for September. On the other hand, we are running out of summer days very quickly! We have managed to somehow find a few days when all four of us are available, so next week, we will have a tiny pocket of vacation time - first attending the wedding of my cousin's daughter (the first one in my sons' generation to get married!) and then leaving from there for a few days of camping. Hopefully, we will be up high enough (in the Pocono Mountains of PA) that it will be comfortable there. I finished Afterworlds by Scott Westerfeld (review at the link), a YA novel that's been on my shelf for way too long. My 3rd book for my Big Book Summer Challenge, this engrossing YA novel has two intertwined narratives that are both great. In the first, a teen girl participates in NaNoWrMo (a month-long writing challenge every November), writes a paranormal YA romance, sells it to a publisher, and moves to NYC. The other story is the actual novel she wrote, as she struggles with edits and rewrites. The two stories are told in alternating chapters, and both are absolutely compelling. Next, I moved onto Big Book #4 for this summer: The Sparrow by Mary Doria Russell. I bought this novel at Northshire Bookstore in VT because one of the hosts, Ann, of my favorite book podcast (Books on the Nightstand - now retired but still available) said it was her favorite book. It's the story of a group of people, including some Jesuit priests, who travel to another galaxy in search of extraterrestrial life. Something horrible and tragic happens during that mission, and only one man returns (not a spoiler). The novel begins with the present (2060), after the mission, and flashes back to the first ideas of the mission, ironically in 2019 (the book was published in 1996), so I am just now (at about 150 pages in) getting to the actual mission. It is engrossing and completely unique so far, and the characters feel real. I am still listening - and really enjoying - Plus One by Elizabeth Fama, a YA novel (a freebie from SYNC). It's set in an alternate reality, where the reduced population after the flu pandemic of 1918 led to the remaining people being divided into Rays, who live during the day, and Smudges, who live at night. Sol is a seventeen-year old Smudge. Her brother was transferred to day-living as part of a court settlement four years ago, and is now married with a newborn baby. Since Sol and her brother are now on opposite schedules, they are not allowed to see each other (except for an occasional Unity Day). Sol's beloved grandfather who raised them both is dying, though, and Sol is determined for him to hold his new granddaughter before he dies. To accomplish that, she must break a lot of laws and take a lot of risks. A Ray doctor's apprentice named D'arcy gets pulled into helping Sol. This novel combines dystopia, action, suspense, and romance, and it's very engaging so far. My husband, Ken, started and finished (taking a break from the Big Books!) a thriller that was one of my potential review books, Last Seen Alive by Claire Douglas. It was just released in June. I listened to and enjoyed another of Douglas' novels, Local Girl Missing, on audio. He enjoyed this one, and I plan to read it, too. Now, Ken is reading another thriller (his favorite kind of book! 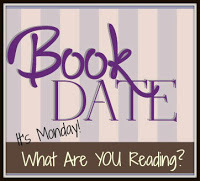 ), The Girl Who Takes an Eye for an Eye by David Lagercrantz, another in the series that began with The Girl with the Dragon Tattoo. Lagercrantz took over the series after its author, Stieg Larsson, died. Our son, Jamie, 23, is reading book 10, Crossroads of Twilight, of the Wheel of Time series by Robert Jordan. He has been plowing through this series, one huge book at a time. Movie Monday: The Incredibles 2 - my husband and I went to a kids' movie alone...and enjoyed it! Teen/YA Review: Afterworlds by Scott Westerfeld - I loved this YA novel! I just finished my third book for my Big Book Summer Challenge, Afterworlds by Scott Westerfeld, and I loved it! As with many of the big books I read during the summer that have sat on my shelves for years...why did I wait so long? I read this clever and suspenseful novel that incorporates a book-in-a-book in record time and loved every minute of it. Seventeen year-old Darcy Patel has a very lucrative publishing contract for her first novel, which she wrote in just 30 days (though not mentioned by name, clearly Darcy participated in NaNoWrMo - National Novel Writing Month - which occurs every November). This sudden good fortune is hard for her to believe, a dream come true for the young book lover. After high school graduation, she moves to New York City to live her dream as a writer, living off her substantial advance while she works on edits and rewrites and struggles with starting her sequel. 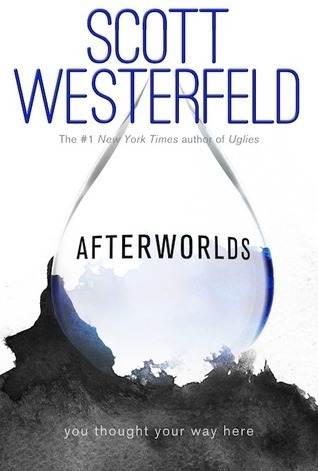 Darcy's novel is titled Afterworlds, and alternate chapters in Westerfeld's novel are the actual chapters from Darcy's book. In that story, her protagonist, named Lizzie, survives a terrorist attack by somehow finding her way into the afterworld. There, she meets a handsome teen boy (who is actually thousands of years old) who is also a living person able to visit the afterworld, as Lizzie discovers she can now do. As Lizzie deals with the aftermath of the attack in the living world, she explores the afterworld, which is sometimes frightening and sometimes fascinating, and makes friends with a young ghost. The set-up of this novel is original, compelling, and perfect! I loved the detail of Darcy writing her novel during NaNoWrMo, and the unfolding of her novel as she writes and edits it is genius. Chapters alternate between Darcy in the real world, learning to be an adult and working on revising her novel, and her fictional world with the story of Lizzie. So, for instance, Darcy when has a discussion with writer friends in the real world, the reader sees the result of that conversation work its way into the novel she is working on. 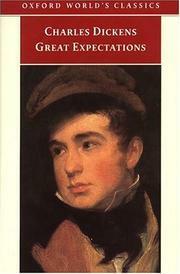 Both stories are engrossing, and the whole novel kept me turning the pages way past my bedtime many nights. I enjoyed both parts of the novel equally and couldn't wait to get back to each of the main characters. Afterworlds combines realistic fiction with paranormal fiction, both sides fascinating and original, resulting in a suspenseful, clever, and engaging book. What avid reader doesn't dream of hitting it big with a first novel and moving to NYC to become a professional writer? Don't the make the mistake I did and let this gem of a book gather dust on your shelf - read it now! I'm so glad I did...though I'm sorry that it's over. While I read this book in print, I think it would be great on audio! Listen to an audio sample here. Or order Afterworlds from Book Depository, with free shipping worldwide.